Here is a short list of candidates that the Tennessee Vols have on their Christmas wish list this year. The book definition of crazy is defined as, mentally deranged, especially as manifested in a wild or aggressive way. Another definition of crazy is leaving an easy TV job with one of the largest sports conglomerates in the world where you only have to talk about football once a week and taking a head coaching gig with a rabid fan base who will expect you to make miracles in short order. I don’t think Gruden is crazy but stranger things have happened. He has said in the past that the Vols is his “Dream Job” and he did start his coaching career there as a grad assistant. I am just having a hard time believing he would take this job and walk away from ESPN where he gets 5 month vacations and his job description is just be entertaining as opposed to year around recruiting and winning games. Now this one is interesting and makes the most sense to me. Kelly made that Oregon program relevant and like it or not, his imprint on the NFL can still be seen even though he is no longer there. He is not going to get another NFL coaching job anytime soon after the less than desirable results he had at Philly and San Francisco, but Kelly could go to a college program, make them a contender, then regain the star status that he had at Oregon. His lack of success in the NFL had to do more with his talent as a GM then it did with his play calling. In college he would not have to worry about salary caps or having to convince players that make more than he does to conform to his offense. Tennessee has the money and status to land Kelly and as a Gamecock fan I really hope he goes somewhere else because I believe if Kelly could get his guy to run his offense his team would be almost unbeatable. Under Scott Frost’s leadership UCF has rocketed to a 9-0 record so far this year. Frost is a hot new prospect but in order to land him Tennessee will have to compete with several schools including his Alma Mater, Nebraska and other SEC schools like Florida. Since becoming the offensive coordinator for the Detroit Lions, Cooter has jumped onto the radar for many teams that are looking for a head coach. Cooter played at Tennessee and was an assistant under Phillip Fulmer before moving to the NFL. If he stays put in Detroit he will most likely end up with a head coaching job in the NFL but if he takes the Tennessee job and turns the program around then he could not only have the college job of his choice but could then be picky about a NFL job. Tee Martin was Tennessee’s QB during their 1998 National Championship season. Tennessee has never hired a black head coach in the school’s 100 plus year history. He is more than qualified for the position but the odds are slim in my opinion that they will make Martin the head coach unless all of the other candidates back out and he is a last resort. 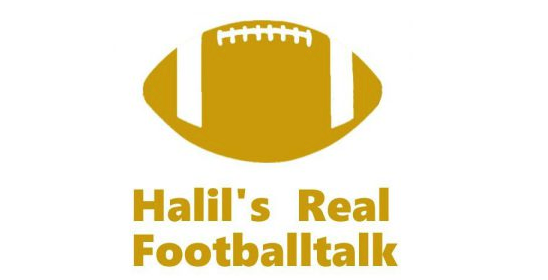 Check out our friends at Halil's Real Footballtalk! Anything, Everything & Nothing – Who’s Your Person? How Important is Your Circle of Friends to Your Relationship? Become a patron of Defy Life on Patron! Enter your email address to follow Defy Life and receive notifications of new posts by email. 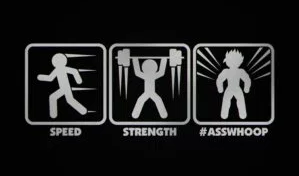 © 2018 GoDefyLife.com. All rights reserved.